World's fastest top open car "Veyron 16.4 Grand Sport"
A new Bugatti goes on sale this week, and like every other automobile to ever bear the revered name, it's so over-the-top you can't help but admire the audacious spirit which permeates all aspects of its engineering. The limited edition open-top Bugatti Veyron 16.4 Grand Sport will be the world's fastest open top car, capable of travelling at 360 km/h with the roof off, and 407 km/h with it closed. Just 150 will be made of the EUR 1.4 million Grand Sport with the first 40 reserved for existing Bugatti customers. 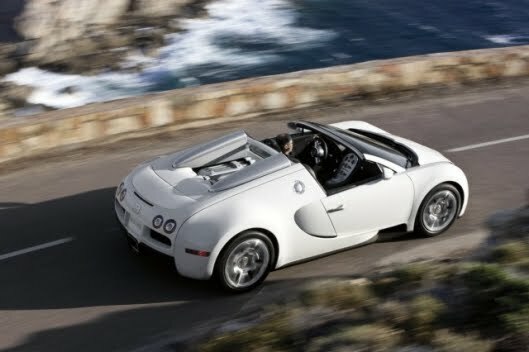 The usual cut-no-corners approach has seen the original Veyron virtually reengineered to accommodate the lack of the roof as a structural component.To say there have been significant modifications made to the vehicle’s complex structure to make open-top driving possible is a huge understatement, as is often the case when we write about Bugatti. 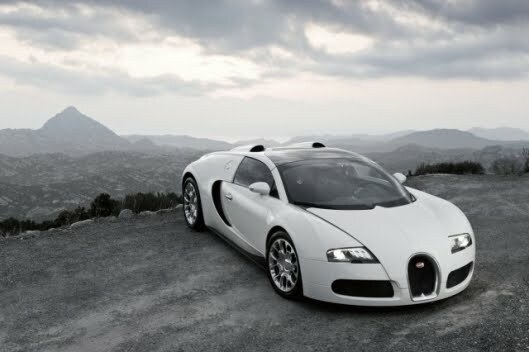 The main challenge in developing the new Bugatti Veyron 16.4 Grand Sport with removable roof resulted from the unique structure of the fixed-roof Bugatti Veyron. An optimum combination of rigidity and lightweight engineering ensures the monocoque passenger cell of the original model is extremely strong while weighing an absolute minimum – it is a central element of the vehicle’s structure. As the roof is an integral part of this, removing it meant the load paths had to be completely redesigned to maintain the vehicle’s rigidity and crash safety, and to offer additional protection from side impacts and rolling. As a result, the monocoque structure has been reinforced around the side skirts and the transmission tunnel. The B-pillars have been cross-stiffened using a carbon fibre support, and a central carbon plate has been positioned beneath the transmission tunnel to ensure the vehicle suffers from less torsional flexing than any other roadster.The doors of the new Bugatti Veyron 16.4 Grand Sport are made of carbon fibre, and house an integrated longitudinal beam.In the event of an accident, this transfers the load from the A to the B-pillar, thereby dissipating impact energy. Furthermore, the two redesigned air intakes for the 16-cylinder mid-engine now feature 10-centimetre wide carbon-fibre elements to offer protection should the car roll. Along with moisture-resistant, backstitched leather, a range of new equipment features has been added to the interior, including a reversing camera with 2.7-inch monitor in the rear-view-mirror, and the “Puccini” sound system with digital signal processor.When the roof is closed, the Bugatti Veyron 16.4 Grand Sport can reach 407 km/h, while speeds of up to 360 km/h are possible with roof off. Should it rain, an innovative folding roof stored in the luggage compartment can be opened up like an umbrella at any time. When this folding roof is in place, the car can travel at up to 130 km/h. The world’s fastest roadster is immediately recognizable from its roofed brethren by its slightly higher windscreen, stylized daytime running lights, and lightweight, transparent polycarbonate roof.